Edit: infoclio‘s videos of the final presentations are online. tl;dr: Keep yourself free of obligations on the actual days of the event. 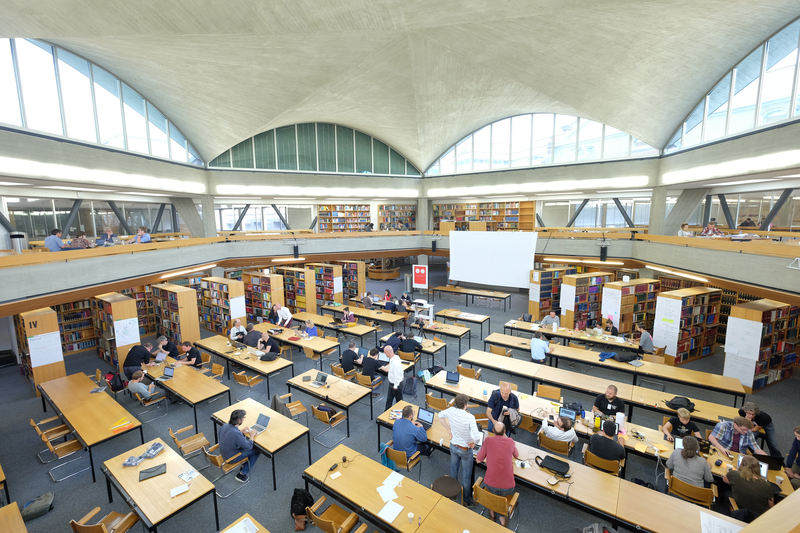 This year’s Swiss Open Cultural Data Hackathon #GLAMhack2016 was hosted by the Basel Universtiy Library, I was responsible for the logistics. Luckily I didn’t know beforehand how much work it would be – or I wouldn’t have accepted. There wasn’t one big subject that took up so much time – just the number of details that added up. I simply couldn’t have done it without workflowy for my to do list. Two products I hadn’t known before were the super sticky variant of post-its and the electrostatically charged paper (or rather plastic) called EasyFlip. In addition to all her press and social media work and her blog posts leading up to the hackathon, Marion Regenscheit was also our in house graphic designer. Some of my colleagues kindly signed up as helpers for the afternoon before and the two days of the event; this greatly contributed to how well it all worked out – a big thank you to all of them! 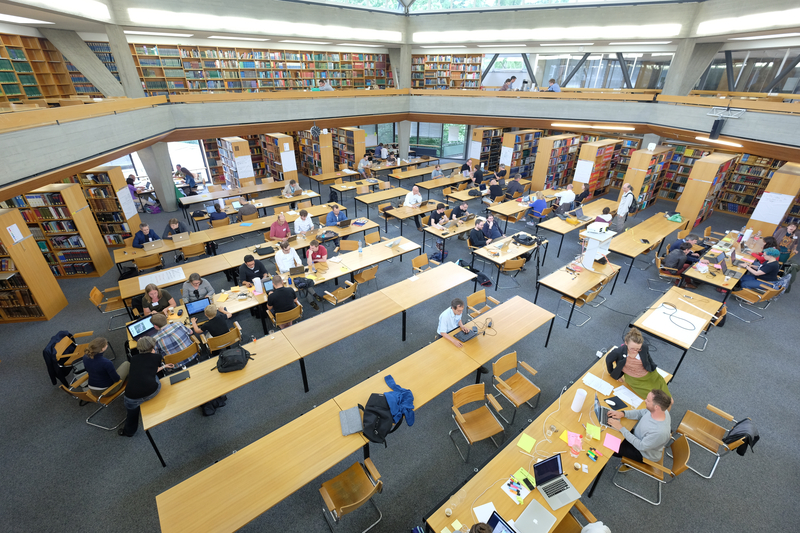 We are very lucky that our relations with the Botanical Garden of the Basel University are so good; not only was it the perfect place for recharging and networking but we were also allowed to use a lot of their material inside the library. Another advantage was that apart from occupying the reading room we didn’t invade a lot of the students’ space. With the help of Marcel Stohler we booked the sound equipment for the reading room from Hans Guldenmann AG. Worked perfectly well. Thanks to the IT Service Center PG2 we were able to borrow an Epson EB-4770W beamer before it got installed somewhere else. The food and the soft drinks both inside UB and in the Botanical Garden were provided by Catering Services Migros Basel. They were super flexible (actual number of guests had to be set 10 days before the event) and very friendly and helpful during the two days. They have teams in different places in Switzerland and I couldn’t recommend them more. Instead of paying SV Service CHF 2.80 per cup of coffee we rented some machines from caffè eccetera, costing -.70 per pad of coffee or espresso, without extra costs for the machines. Unopened boxes (100 pads) could be returned without charges. Both Ueli Bier and Buess Vins not only replied favourably to my question about sponsoring, but also let us return unopened bottles and barrels – which made deciding on an amount that much easier. A big thank you to them, too. The results of GLAMhack2016 certainly were worth the effort. It was thrilling to see so many people working and talking together for two whole days! I really hope the prototypes will all find enough funding to become real.